First off, thank you for your patience. This episode and last weeks Bradbury Challenge had major sound issues and took almost a week to edit. It’s okay but not up to our normal sound standards. So again, thank you. Switzerland Today was a beautifully written but confusing story for us. In this episode, we try to sort out what this story was actually about and on a more basic level… what actually happened. All of our scores shifted after this discussion, 3 of us moved our scores down but one of us lost his sense and raised his score. Listen to find out who! For Maya, the beautiful language made her even more irritated by the ending. The imagery and characterization felt real to both Rammy and Anais, while Anais found the characterization lacking. Don’t forget to rate the story! For the history of our goofy system, see Anais’ post “Read Short Stories or Ray Bradbury Cries.” On a scale of 1-6 Bradberries, how do you rate Switzerland Today? Tell us in the comments below or via voicemail, and we will give the final tally on the next episode. We are also in desperate need of iTunes reviews. 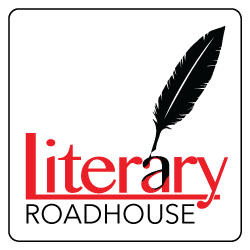 Please search Literary Roadhouse in iTunes and leave reviews for all of our shows.